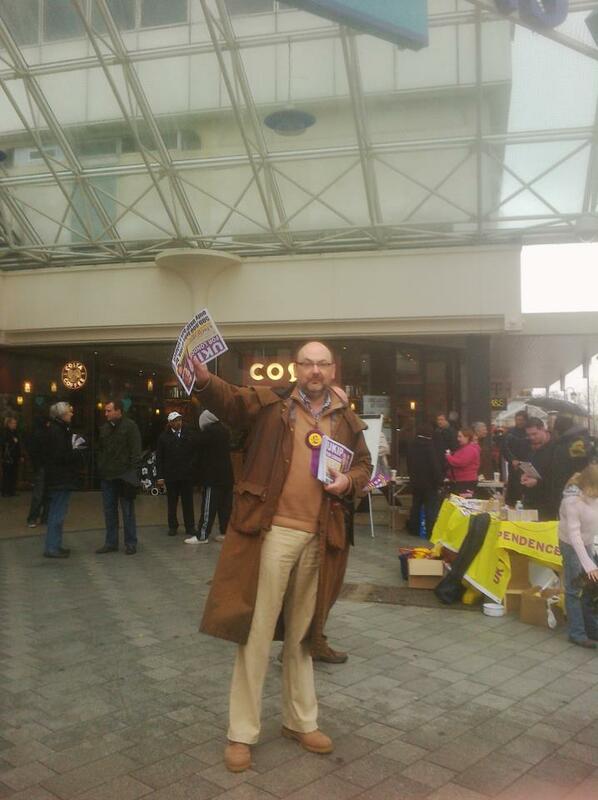 Well, what a few weeks it has been on the campaign trail with UKIP across the country! We have made stunning gains in the local elections last Thursday, with our average vote being around 14% of the turnout – Considerably up from this time last year! Alongside winning 9 council seats in England and Wales, the electorate have made us a consistent second or third choice vote in others and we have had an affect on who has been voted in to power. With this kind of momentum growing, UKIP are now on course to become a major force for the re-establishment of true democracy across the UK. In 2008 (the comparable point in the electoral cycle), UKIP took 98,000 votes in England. In 2012 we took over 220,000 – our vote has more than doubled since 2008. UKIP fielded 691 candidates this year, up from 450 in 2008. The average UKIP candidate had a percentage vote share of 13.8% – our highest ever. UKIP won 7 seats in England and 2 in Wales. Lisa Duffy took 61% of the vote to win the final seat in Ramsey by a landslide. In Rushmoor, two UKIP councillors who had joined from the Conservatives and a third UKIP councillor was also elected to complete a clean sweep in that ward. Piers Wauchope was elected to Tunbridge Wells council, unseating the Leader of the Council in the process. UKIP took its first ever councillor (above parish/town council level) in the Yorkshire & North Lincolnshire region when Ron Shepherd was elected to NE Lincolnshire Council. Other UKIP councillors elected were in Thurrock, Merthyr and Vale of Glamorgan. 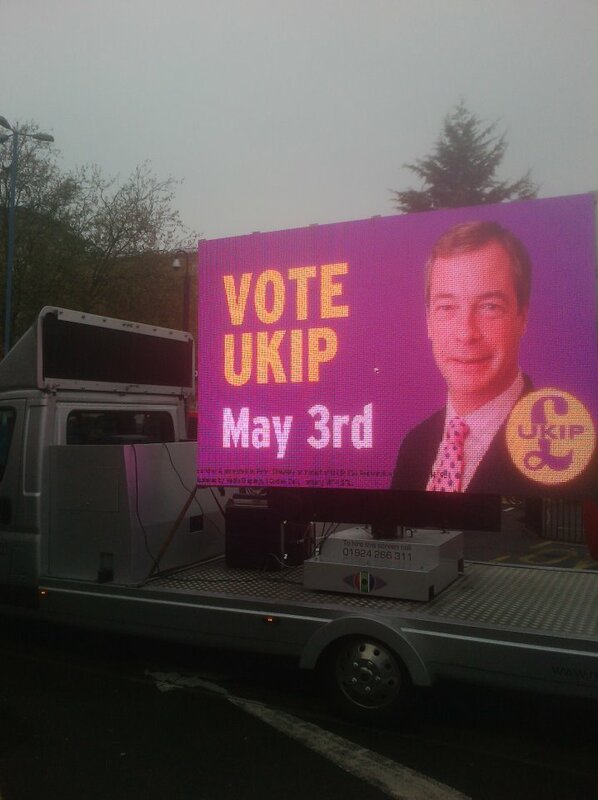 In Plymouth, UKIP averaged 20.6% of the vote. In Sheffield, UKIP achieved a first in a major UK city by taking almost 3,000 more votes than the Conservatives across the city. The UKIP vote seemed relatively consistent throughout the country. Across the country, 136 candidates finished in second place. 40 of these were in Yorkshire & North Lincolnshire alone. 50 candidates took more than 25% of the vote and 105 took more than 20%. Our vote was spread evenly throughout the country – with regions varying from a 10.5% average to 16.9%. UKIP took 15.3% in Conservative wards, 13.2% in Labour wards and 10.7% in Liberal Democrat wards. Churchill ward of Adur Council saw a UKIP candidate lose by just 1 vote. Young Independence’s target ward of Gorleston in Great Yarmouth saw Matthew Smith take 34.7% of the vote and miss election by just 48 votes. UKIP’s vote averaged 20.2% where there were just 3 candidates on the ballot paper – usually but not exclusively UKIP v Labour v Conservatives. But when 7 or more candidates were standing, the average dropped to 5.9%. UKIP performed better than ever before in the Metropolitan Borough Councils, averaging 11.9% where we stood on those Councils. More than two thirds of all UKIP candidates took more than 10% of the vote. We have been busily working away in Hillingdon over the last 6 weeks to improve on the 2008 GLA result and have seen a major increase on our performance since then. Highlights of the campaign from a personal point of view were the appearance of party leader Nigel Farage at Ickenham village hall to talk about the HS2 rail link (above), candidate Helen Knight’s gritty performance during a hustings at Brunel University where she held her own against far more experienced Lib-Dem, Conservative and Green candidates, and the battle bus and advans coming to Hillingdon early last week with many of the candidates from around London. We also received assistance from colleagues outside of London – Special mention must go to Tim Scott and his Beaconsfield team for their help on our final street stall in Uxbridge (left) and to Derek Clark MEP who came all the way from his Midlands constituency in awful weather to man the stall with us. A full account of these events will follow shortly on the blog. Our area threw up one of the stories of election night when sitting Greater London Assembly member and Deputy Mayor Richard Barnes lost his seat to Labour’s Dr Onkar Sahota by just 3110 votes. We were showing as third across London in the polls, but when the votes came in we had finished a slightly disappointing fifth in the Ealing & Hillingdon ‘superconstituency’ with 6750 votes (4.12%) – This is, however, a massive increase on the 4465 and 2.58% garnered in the same elections in 2008 and had a significant bearing on the outcome of the final result. It is also worth pointing out that this result was achieved with no campaigning in Ealing, and with only around 40% of Hillingdon leafletted and campaigned in, which bodes well for the 2014 local elections that will be coming up. In Dr Sahota’s acceptance speech, he stated that the people of Ealing and Hillingdon had voted for him to campaign on the NHS, most notably to save Ealing Hospital – I tend to disagree with that point of view, and am more inclined to believe that the Conservatives lost the seat because of their fence sitting over the HS2 issue which will so affect the north of Hillingdon where their core vote lies. 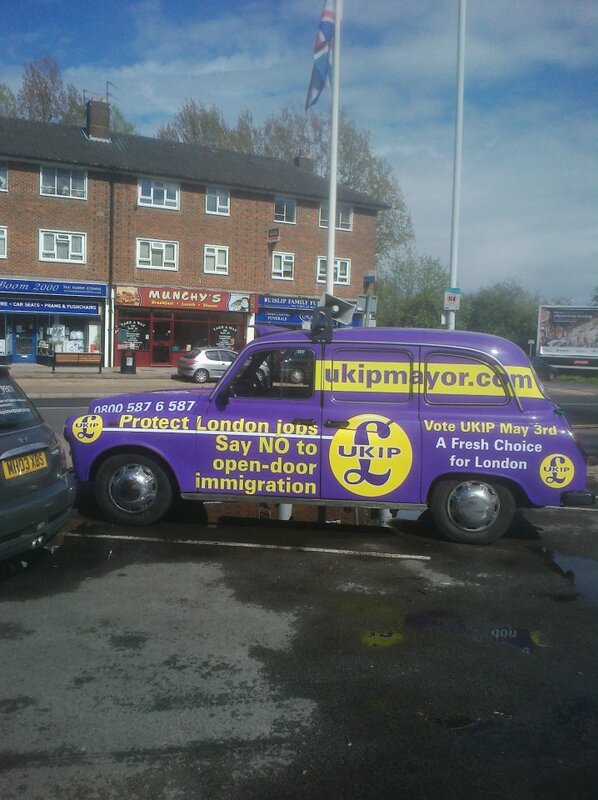 Whatever the reality of the seat switching hands, it proves that a vote for UKIP is no longer a ‘wasted’ vote as the old three parties would have you believe – In 2014, we intend to go from influencing the result to WINNING the vote and making a positive difference for ALL the people of Hillingdon. This entry was posted in Elections, Greater London Assembly (GLA) and tagged lisa duffy, local elections, onkar sahota, piers wauchope, ramsay, UKIP.